* you want to explore how DNA can enhance your genealogy research you want to understand more about genetic genealogy ... Click to read more! Summary: DNA from genetic cousins will be used to recreate the genomes of unknown ancestors who reside completely behind brick walls. While traditional research will often be able to provide a potential identity for the recreated genome, sometimes the individual will be known only by his or her DNA. 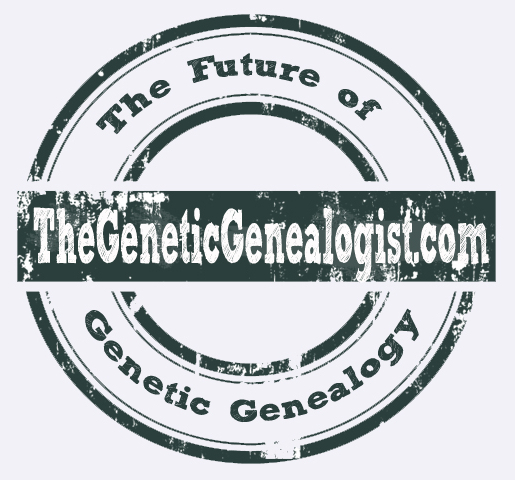 Long-time readers of The Genetic Genealogist know that in addition to writing about the latest developments in genetic ancestry testing, I occasionally write about the future of genetic genealogy based on current trends and developments. 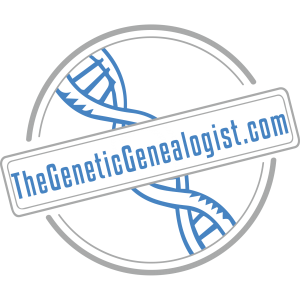 This is something I’ve been doing since at least 2007, with posts like “The Future of Genetic Genealogy” and “A Single Colon Cancer Gene Traced to 1630 – The Future of Genetic Genealogy?” ... Click to read more! 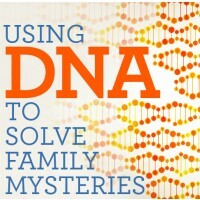 For example, just last month RootsTech 2014 featured numerous DNA sessions. This coming June, there will be an entire day of DNA at the 2014 SCGS Jamboree, where I and many other speakers will cover numerous topics related to DNA (see my coverage here and here). Among my presentations at Jamboree will be a completely new lecture that I’m really excited about – “DNA and the Genealogical Proof Standard,” which will be the first presentation completely devoted to the topic, and which I hope will spur some important conversation! ... Click to read more!